The Boston Bruins may be stacked at the NHL level, but their prospect pool doesn't appear to be nearly as deep. 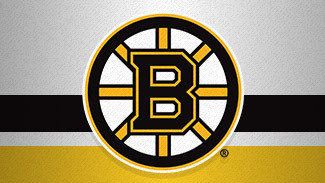 That is not as big a problem for the Bruins as it may be for other teams, seeing as the big club features several established talents who are 27 or younger: Patrice Bergeron (27), Nathan Horton (27), David Krejci (26), Tuukka Rask (25), Adam McQuaid (25), Brad Marchand (24), Milan Lucic (24) and the jewel of the group, 20-year-old Tyler Seguin. But as thin as the Bruins' prospect pool might be, the club is hoping a big name is no longer on this list a year from now, because if defenseman Dougie Hamilton makes the team this season, he'll no longer be considered a prospect. Hamilton is by far the top player in the Bruins' system, and general manager Peter Chiarelli said he will be given "an excellent chance" to make the club. After Hamilton, however, the Bruins lack any blue-chip prospects who project to be NHL stars, and that includes 2012 first-round pick Malcolm Subban, who as a young goaltender is difficult to project four or five years down the road. 1. Dougie Hamilton, D: Hamilton is a clear-cut pick as the class of the Bruins' system, a big, strong defenseman who can play a physical game and also move the puck with his exceptional skating and vision. Last season with the Ontario Hockey League’s Niagara IceDogs, Hamilton led his league's defensemen with 72 points in just 50 games. Playing for Canada at the world junior championships, Hamilton tied for the team lead in defense scoring with six points in six games and was a plus-seven. The 6-foot-5, 195-pound defenseman managed just one point in three games at the recent Canada-Russia Challenge, but hardly anyone doubts he's ready to make the jump to the NHL. "I think I've gotten better at everything," Hamilton told reporters at the Bruins development camp in July. "I'm a little bit bigger and stronger, and I think a bit more skilled as well." 2. Ryan Spooner, C: The 5-foot-10, 172-pound center has played eight games at the professional level with the Providence Bruins of the AHL over the past two seasons, and he managed seven points. Now, after completing his junior career in the OHL with 66 points in 57 games split between the Kingston Fonrtenacs and the Sarnia Sting last season, Spooner will be slotted to play his first full professional season in Providence this fall and even compete for a spot in Boston at training camp. "I think both on and off the ice, maturity has been a big factor," assistant general manager Don Sweeney told reporters at the Bruins development camp. "He's gaining in strength and understanding of the level of play going up and the stronger guys are going to be there. His time in Providence has certainly helped in that regard. There's a pro mentality that's starting to seep in there, which is what we need all these guys to do." 3. Jared Knight, C: Similar in size to Spooner at 5-foot-11 and 186 pounds, Knight is also expected to compete for a spot with the Bruins this fall though a trip to Providence is the most likely path he will take. Knight and fellow Bruins prospect Seth Griffith got some valuable experience in the spring when they helped the London Knights reach the Memorial Cup final before losing to the host Shawinigan Cataractes in overtime. Sweeney feels that will nonetheless help in Knight's maturation process towards becoming a pro. "I think anytime you have an opportunity to play that long in a season means you've had a very successful year," Sweeney said. "Obviously he's disappointed not being able to finish what they had started, but being in that environment -- playoff hockey -- you really can't trade it. Our business is about winning and there's no question that we want those kids that want to be in that environment with that competitive nature and we're glad that he brings that to the table." 4. Malcolm Subban, G: The 6-foot-1, 195-pound goaltender has only been playing his position since he was 12, but he learned his craft so quickly he became the top-ranked North American goaltender in the 2012 NHL Draft just six years later. The brother of Montreal defenseman P.K. Subban – public enemy No. 1 in Boston – is a tremendous athlete who still has work to do on his mechanics, but considering how much he has learned in so short a time, it's not unreasonable to believe Subban will one day become an elite NHL goalie. "He competes for every puck and every save -- even in the first day in this environment," Sweeney said. "Most goalies don't like to be scored on, and he's no different in that regard. But the athleticism I think and the push across the net is very impressive." Subban will return to the Belleville Bulls of the OHL this season, and is likely at least three years away from playing in the NHL. 5. Alexander Khokhlachev, C: Yet another undersized center with lots of skill, the 5-foot-10, 183-pound Khokhlachev played the last two seasons with the OHL's Windsor Spitfires, piling up 145 points in 123 games played. But this season, Khokhlachev will be returning to his native Russia to play in the KHL for Moscow Spartak, where his father Igor is the general manager. "He felt it was right for him, and at the end of the day, we went along with him on this," Chiarelli told reporters at Bruins development camp. "We're going to support him on it." His general manager in Windsor, former NHL forward Warren Rychel, publicly slammed Khokhlachev's decision, but the player feels it will be his best path to the NHL. "My dream and my goal is to be in the NHL," Khoklachev, who signed an entry-level contract with the Bruins in the spring, told the media at Bruins development camp. "I will be playing in a man's league in KHL and get better there and have development, but I always wanted to play in the NHL and look forward to that." 6. Torey Krug, D: An undrafted free agent out of Michigan State University, the 5-foot-9, 175-pound defenseman made his NHL debut just after signing with the Bruins on March 25. Though he only played two games, Krug managed to leave an impression with the Bruins. "We obviously watched Torey for a long time and felt he would be able to handle that, and now the bar sort of resets for him," Sweeney said. "He's made his impression and he did very well and now he's got to go out and push someone out of the way and earn that spot. I think he's excited to try to do that. He's got some things we're going to try build into his game. He's not a ready-made guy, but he's got a lot of attributes that certainly separate him from some of the younger kids." A high scorer in college with 83 points in 114 career games with the Spartans, Krug could be in the mix for a Bruins' team that could use some offense from the back end. 7. Max Sauve, C: Plagued by injuries, this former second-round pick (No. 47) from the 2008 NHL Draft has the skill to make it to the next level, but needs to prove he has the durability to survive once he gets there. Sauve, 6-feet and 170 pounds, had 26 points in 39 games with Providence and made his NHL debut last season, playing one game March 11 but getting only 3:43 of ice time. Sauve will need injuries on the big club in order to merit a call-up, but if he can stay healthy and put together a full season in Providence, he could climb up this list next season. 8. Carter Camper, C: Another undrafted college free agent out of the University of Miami (Ohio), Camper was Providence's top scorer last season with 48 points in 69 games. Camper is yet another undersized center in the Bruins system at 5-foot-9 and 173 pounds, but he did earn a call-up to the Bruins for three games and scored a goal. He's not likely to ever become an elite NHL scorer, but he could prove to be a solid depth player for the Bruins in the future. 9. Brian Ferlin, RW: More of a prototypical Bruins forward at 6-foot-2, 201 pounds, this fourth round pick in 2011 had a great freshman season at Cornell University, being named the ECAC Freshman of the Year after posting 21 points in 26 games. A native of Jacksonville, Fla., Ferlin is seen as more of a long-term project. 10. Niklas Svedberg, G: Signed by the Bruins as a free agent shortly after Tim Thomas let it be known he would be taking the 2012-13 season off, the 6-foot-1, 180-pound Swedish goaltender is coming off a tremendous season. He led Brynas to the Swedish Elite League title with a 10-3 record, four shutouts, a 1.70 goals against average and .947 save percentage in the playoffs. He will compete with Mike Hutchinson for ice time in Providence this season.